February 19 is known across the world as Tourism Day. It’s a holiday designed to pique peoples’ interest in travel and exploring the world. If you pride yourself as a card carrying cat fanatic, check out this list of five feline-themed tourist destinations that you’ll want to add to your bucket list. Have you heard about Cat Island? That’s the colloquial name for Aoshima Island in Japan, a special place populated by only about 15 humans, but over 100 cats. These felines dwell in a car-free environment, meaning that they stay safe while they have total run of the island. Over in Amsterdam in the Netherlands, you’ll find the Cat Boat. Mrs. v. Weelde founded it as an animal sanctuary back in 1966. After becoming known for taking in stray cats, Weelde discovered she needed a larger space than her house to look after all the kitties. The solution? Taking her animal welfare efforts onto a houseboat floating in a canal. If you take a visit to the Hermitage Museum in Russia, you’ll very quickly notice that cats seem to have overrun the institution’s hallways and rooms. Consider the hundreds of cats living on the premises as custodians of the collection, helping to keep vermin away from the artifacts. You might have heard about polydactyl cats. They’re kitties who count more than the usual number of five toes on their front paws, often claiming up to eight digits. 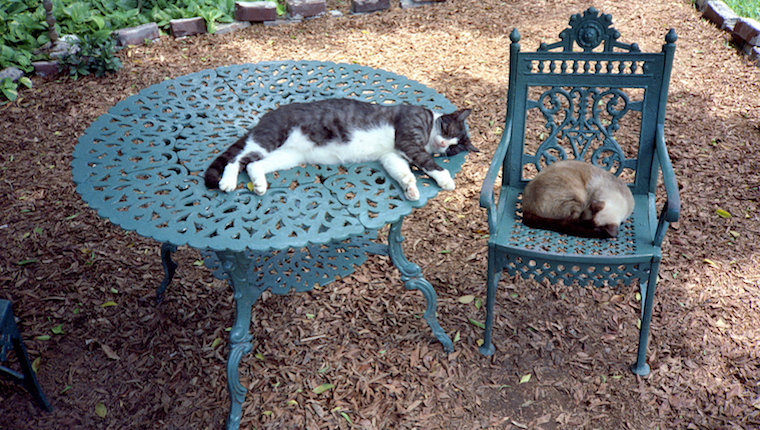 Many also refer to many-toed kitties as Hemingway cats: The writer Ernest Hemingway’s landmark house in Key West, Florida homes over 50 of these exceptional felines. If you visit Ypres in Belgium during May, you’ll get to experience a little something the locals call Kattenstoet. The event’s name translates as “festival of the cats,” and that’s exactly what you’ll get to witness: A vivid parade featuring a non-stop roll call of giant felines. Have you been to any totally cat-themed tourist attractions? Are you planning a feline-filled trip for Tourism Day? Then let us know in the comments below!